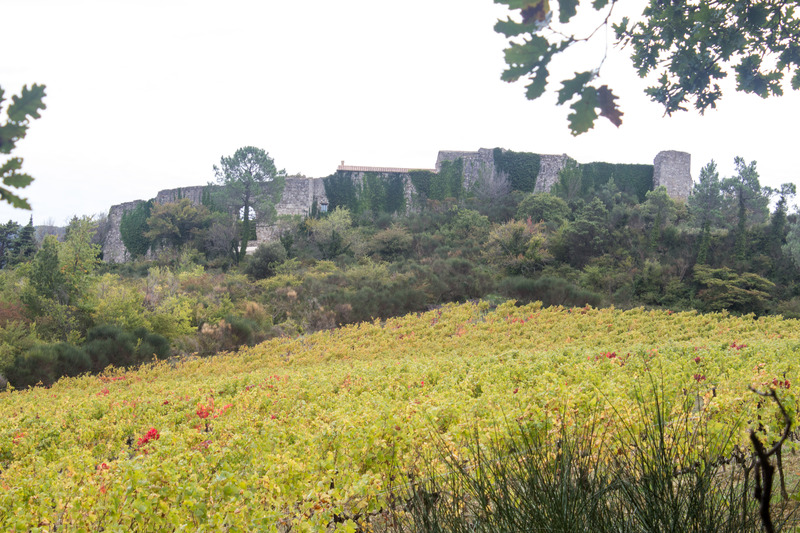 On the other side of the hill, behind these ruined walls, is Valaurie, a vibrant village of artists. The tiny cobbled laneways are winding passages and stone steps bordered by lavender, roses, flowering shrubs and artificial sunflowers. 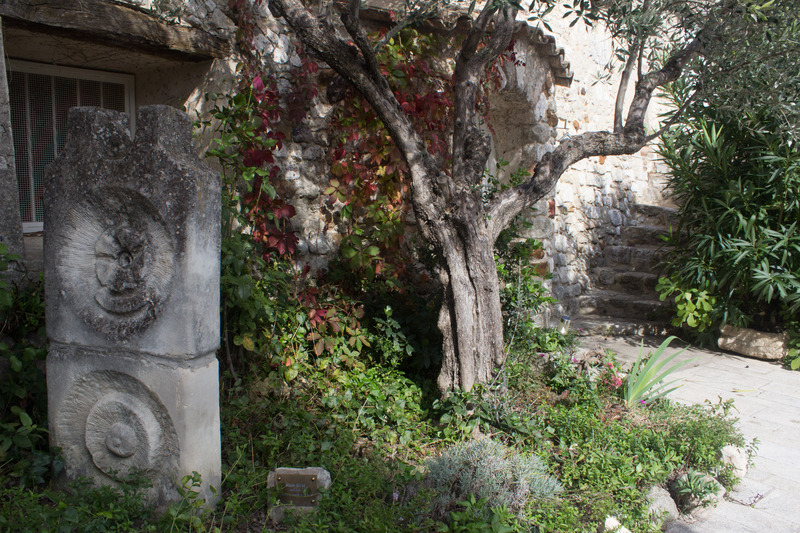 The houses, many of them also artists’ studios, are built of exposed stone. But this isn’t a village living in the past. 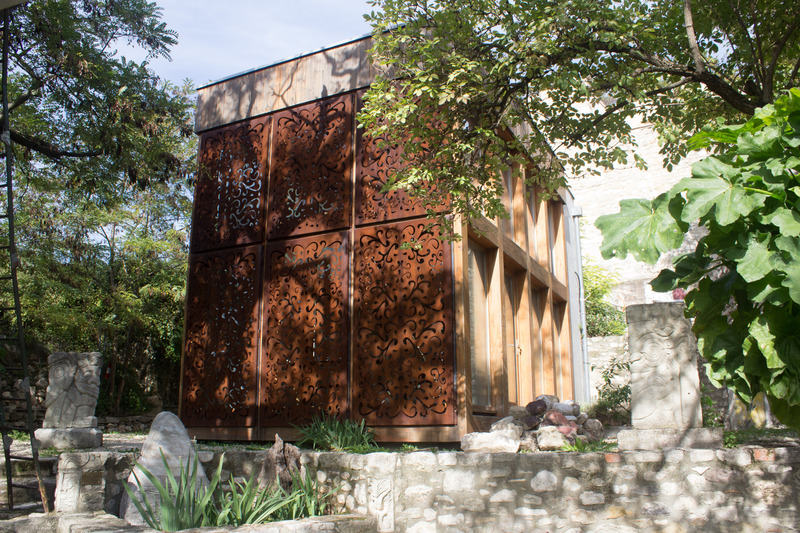 Valaurie sponsors residencies for artists in architect Luc Boulant’s The Cube, a contemporary construction of metal, wood and glass built exclusively for that purpose. And the exhibitions Valaurie holds in the contemporary art gallery, Maison de la Tour, deceptively housed in a tower of the medieval walls, are state-of-the-art. 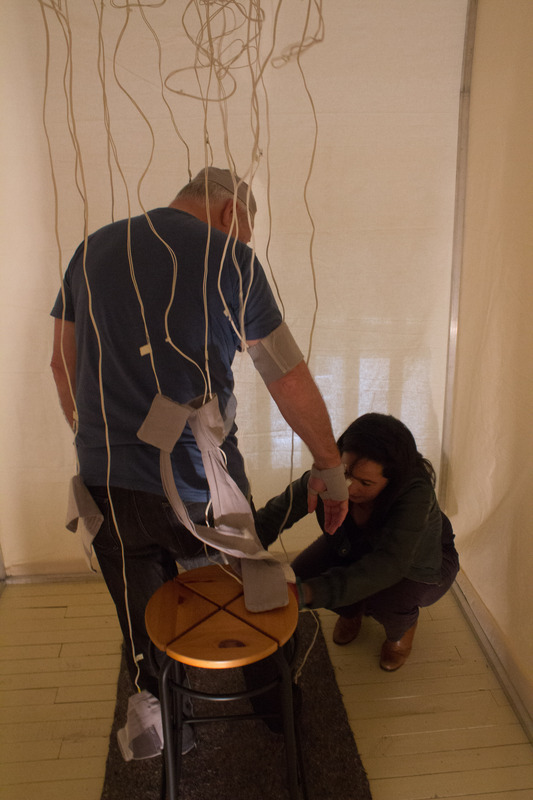 The day we visited the Maison de la Tour they were exhibiting Lynn Pook’s sound installation – A Fleur de Peau: sound installation for one body. Ross agreed to be the ‘body.’ He stood in an area separated by white fabric hung from the ceiling. Then he was attached to sixteen contact loudspeakers. Contact loudspeakers are used because they are barely audible and vibrate clearly. He then inserted earplugs so he couldn’t hear the surrounding sounds. He looked like he was incarcerated in a high tech torture laboratory. The computer was activated and for the ten minute composition I heard whirrs and bops and buzzes, speeding up, slowing down, attacking like machine gun fire. 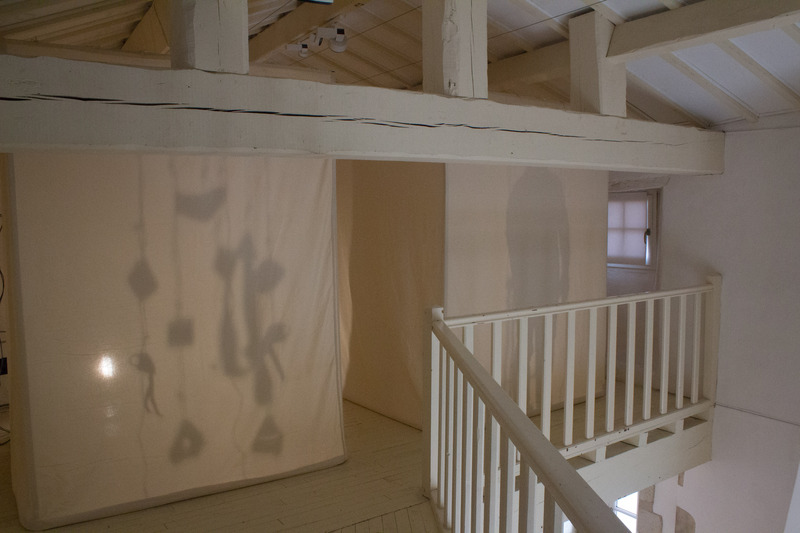 For more details about Lynn Pook’s sound installation click on the link to her website. A walk around the village may be less futuristic but there are little creative surprises all through it. Valaurie in the Drome is well worth a visit. Not just to see how the ancient and the modern meld together harmoniously, but to appreciate what can be achieved by one small village that values art and the people who create it. 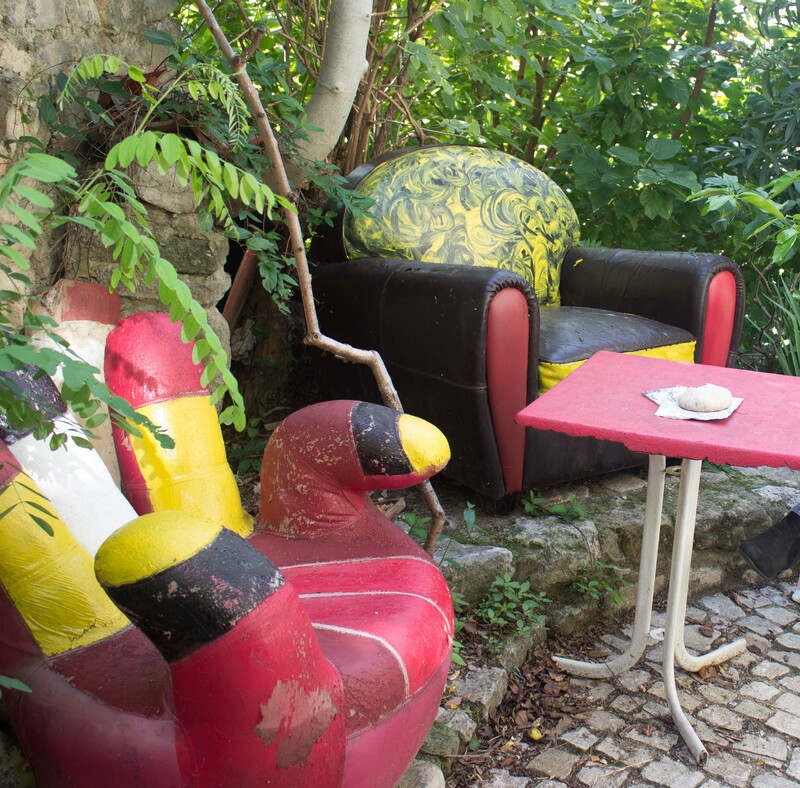 This entry was posted in art, Travel, Writing and tagged art, art installations, Drome, France, travel, Valaurie, writing. Bookmark the permalink. Pardon the cliche, Karen, but reading today’s post has elicited one from me: ‘You can’t tell a book by it’s cover’! What an absolutely fascinating place – Valaurie I mean. And what a total joy it must be to wander around. I’m so eclectic in my tastes I can’t decide which I love most, the fascinating chairs or the flight of carved stairs. 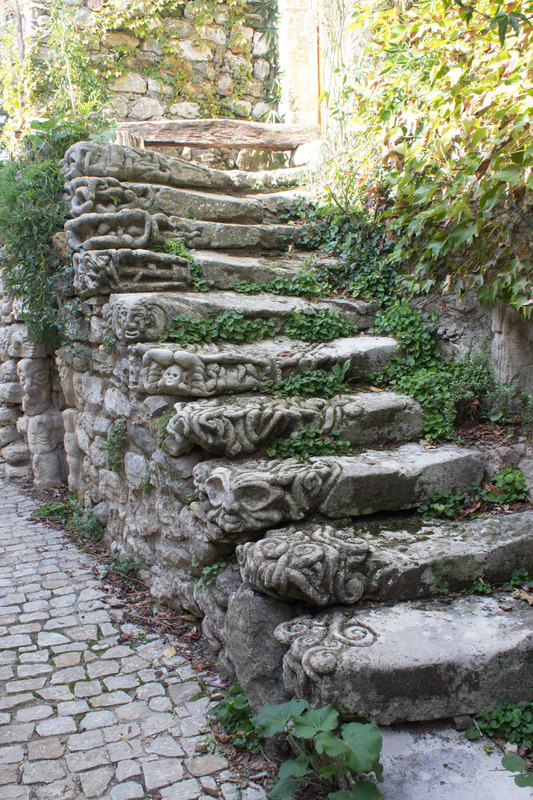 If I really have to choose – I’d choose the stairs; they’ll last for centuries more. Bon jour! Ha, ha, you shouldn’t judge by the cover. Something that continues to impress me here is how the past is part of the present. There’s a long continuum of centuries of people living and using their environment in new ways that suit their times, without necessarily destroying the past. In fact, most of the places respect and honour their heritage. Newcastle could learn from them! A very valid point to make, Karen – we tend to have an ‘easy come, easy go’ attitude here; in fact, I’ve even heard many resentful remarks about Heritage associations, etc including one a day or two ago because the old timber bridge at Clarence Town is going to be restored; some would prefer to see it go and a new concrete one established in its place. No accounting for taste, I say.